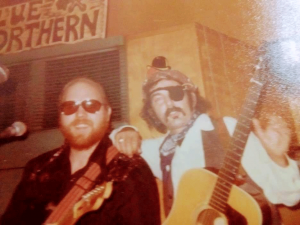 From 1969 to 1974 or ’75, I was a serious student of the blues. Yes, I was also a Bob Dylan fanatic but if you listen to his early music and, in fact, much of all of his music you will see that he was greatly influenced by blues music, as well. A fact he acknowledged in his autobiography, “Chronicles: Volume One“. Long John Baldry, so called because he stood 6’7″ tall was a part of the British blues-rock scene of the 1960’s. Born in East Haddon, Northamptonshire, England in 1941, he started out as a folk musician and toured Europe for a time with Ramblin’ Jack Elliot. He eventually played with Alexis Korner and Blues Incorporated as well as Cyril Davies’, Rhythm and Blues All Stars which solidified his reputation as a player in the British blues scene. In 1964 he saw Rod Stewart busking in a British train station and invited Stewart join his band, The Hoochie Coochie Men. 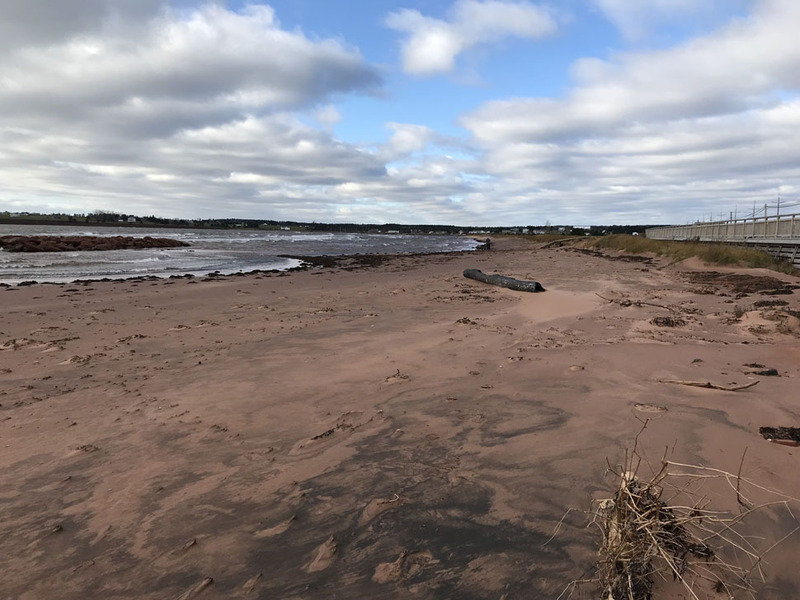 Following that he put together a group called, Steampacket and then a group called Bluesology which included the piano man, Reginald Dwight, who later changed his name to Elton John. His famous collaborators at various concerts during the 1960s include, Jimmy Page (from Led Zepplin) as well as Rod Stewart, and Elton John. Rod Stewart has often credited Baldry’s attention with greatly contributing to Stewart’s own success. Baldry is also known for being the voice of Dr. Ivo Robotnik, the main adversary in the video game-based cartoon series Adventures of Sonic the Hedgehog (1993). Later on he turned to Pop music and had a hit with, “”Let the Heartaches Begin” in 1968. He took some time off from music in the mid-1970’s and moved to Canada in 1980. He died a Canadian citizen in Vancouver, British Columbia, in 2005. Baldy’s album, “It Ain’t Easy” includes a list of musicians that encompasses the best of the “60’s British blues movement. The song “It Ain’t Easy” includes Rikki Brown on Bass, – Mickie Waller on Drums, Ron Wood on Electric Guitar, Ian Armit on Piano, Sam Mitchell on Resonator Guitar (Dobro Steel Guitar), and Maggie Bell as the female Vocalist. The song was written by Ron Davies. Mickie Waller work on sessions for many artists, including, Brian Auger, Jimmy Page, Rod Stewart, Ron Nagle, Billy Bragg, The Walker Brothers, Dusty Springfield, Elton John and Paul McCartney. Ron Wood is of course a very well-known guitarist, famous for a ton of session work and his work with Jeff Beck Group, Rod Stewart, and Faces. He has been a steady member of The Rolling Stones since February, 1976. Ian Armit was a jazz pianist and composer from Scotland. 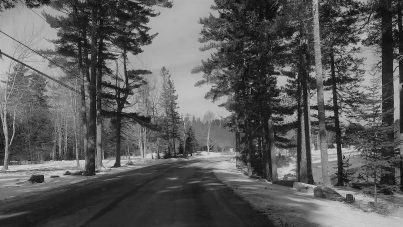 He was in groups including, The Hoochie Coochie Men, The Wally Fawkes-Sandy Brown Quintet, and Wally Fawkes And The Troglodytes. Sam Mitchell was discovered playing in London folk clubs by John Baldry and Rod Stewart. 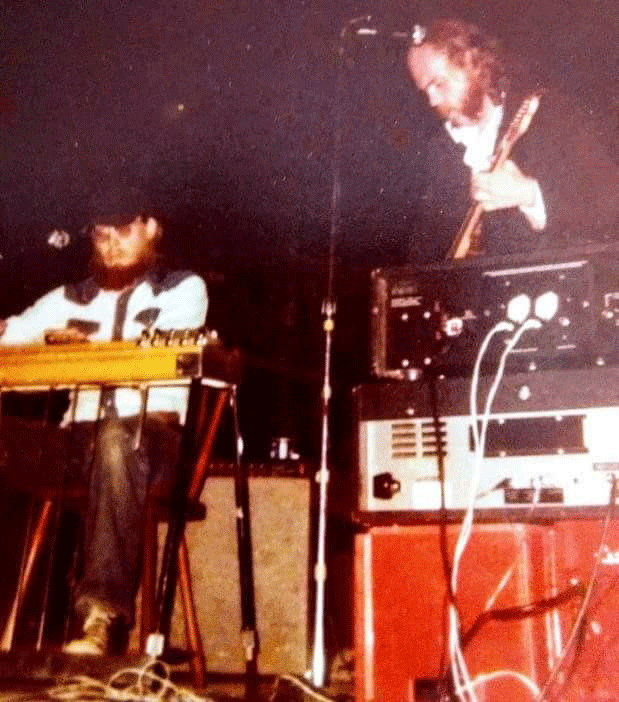 His trademark instrument was a National Steel guitar. He put out his first recording called, “Firepoint” in 1969. He recorded for Rod Stewart in 1970 on “Gasoline Alley” and in ’71 on “Every Picture Tells A Story”. From 1976 he worked with his own trio, Sam Mitchell Blues Band. In the 80’s he worked with Dana Gillespie’s blues band. In the late ’80’s Mitchell joined the Danish rock band, The Sandmen. The band split up after five albums, in 1979. Maggie Bell is a singer from Scotland. She also performed with the groups, Frankie And Johnny, the Jon Lord Blues Project, Midnight Flyer, and Stone The Crows. “It Ain’t Easy” was covered by many artists including, Three Dog Night, Dave Edmunds, David Bowie, and Shelby Lynne. “Ron Davies was a well-respected singer in his own right, as well as a talented songwriter. So… I went many years with this song rattling around in my head until I decided to start covering it. This song shows a group of musicians that worked together and played together. I find a peace and excitement in this Baldry recording that takes me back to my early music beginnings. Are you familiar with these players? Have you read Dylan’s book?… What did you think? 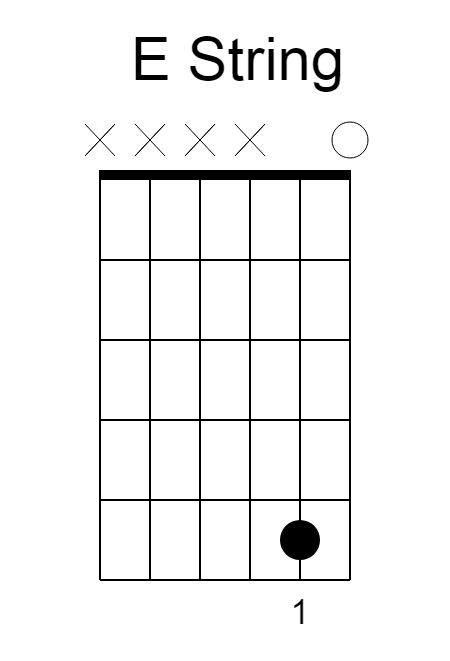 What would you like to see for my next beginner guitar lesson? I am a musician and a music educator. My goal is to educate, entertain, and encourage you, to play more, know more, and listen to more music. 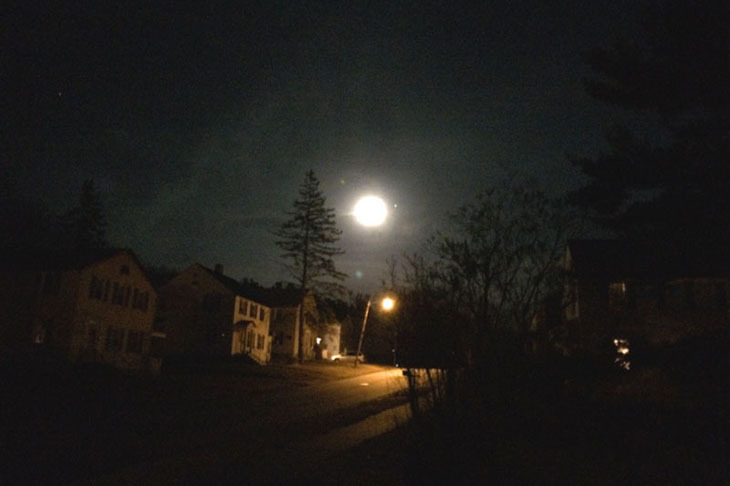 I present my musical views, songwriting projects, recordings, and regular performances of the music I love in this (almost) weekly blog. Please check out my YouTube channel for more of me and the music I like. 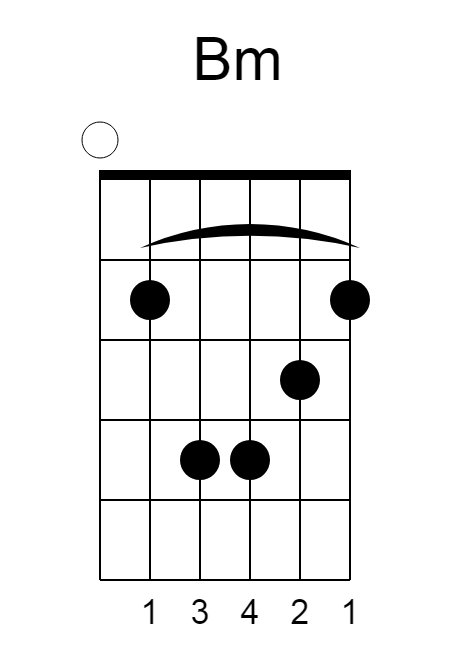 I was talking with one of my “brand new” students about getting together and she said, “…well my guitar is out of tune again…” I am reminded that an in-tune guitar is a happy guitar and a happy guitar leads to a happy guitar-player… So let’s all get in tune! Being able to tune your guitar is basic to having fun with playing and beginning the friendship we all have with our guitars. It’s like brushing your teeth; It’s probably not what you plan your day around but your day and the days that follow go better when we do a good job with it (every day). Keeping a guitar in tune trains your guitar to stay in tune. It will play better and sound better. I would argue that guitars that are kept in good tune have wood that resonates better and so, sound better. Stay in tune! As you can see we have a lot of options for getting in tune. Let me see if I can break this down and make some sense out of all this! The photo above links to amazon and is a fair representation of the tuning fork that I grew up with. You lightly tap one of the tines of the fork and then place the ball at the bottom of the stem on the face of your guitar to amplify the sound. You can also place it against a hard table top or even the bone of your head to hear it. This fork produces a tone at 440 hertz which is a concert pitch “A” or A-440 as its generally called. This note is what most modern orchestras tune to, today. You can buy fancier or bigger tuning forks than this but for a reasonably, small investment, it can live in your guitar case giving you peace of mind that you will always have a note to tune to. Tuning from string to string requires you get one good note from a source like a tuning fork, pitch pipe, a keyboard, or another guitar. To be successful you need to really listen to the source and exactly, match the string you’re tuning to the note you’re listening to. 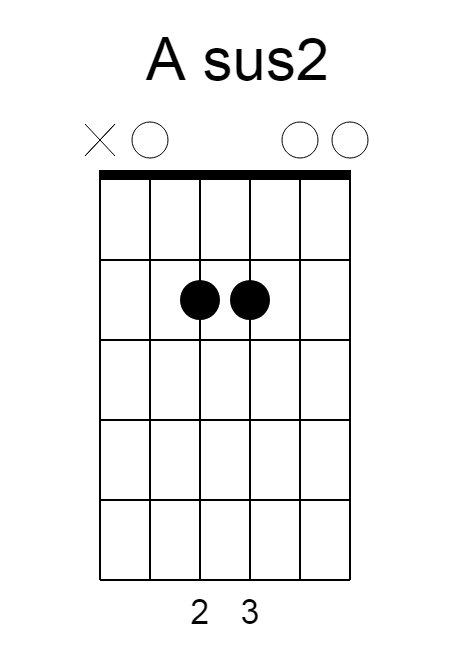 Please notice that if you start with open A you will need to tune the low E string fretted on the 5th fret to the open A. 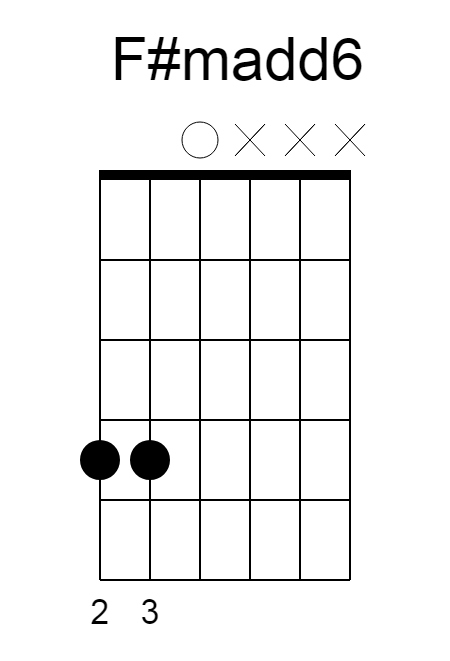 Also notice that the open B is tuned to the G string played on the 4th fret. 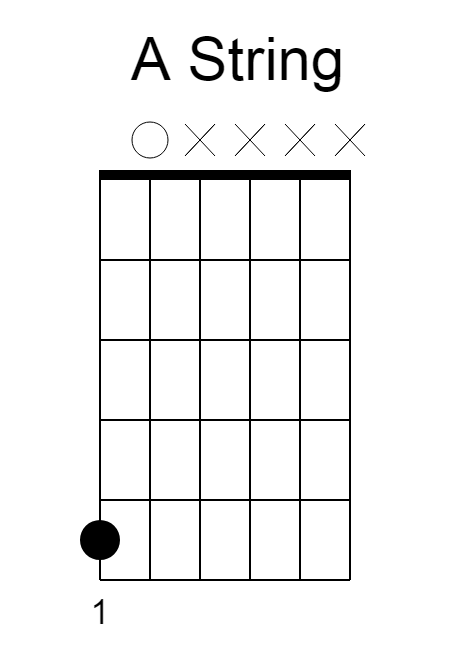 If you tune the open low E string to a pipe, keyboard, or guitar you can just tune the open A from the low E played on the fifth (5th) fret and then tune the rest of the strings as shown. Tune open A to a fork, pipe, keyboard, or another guitar. 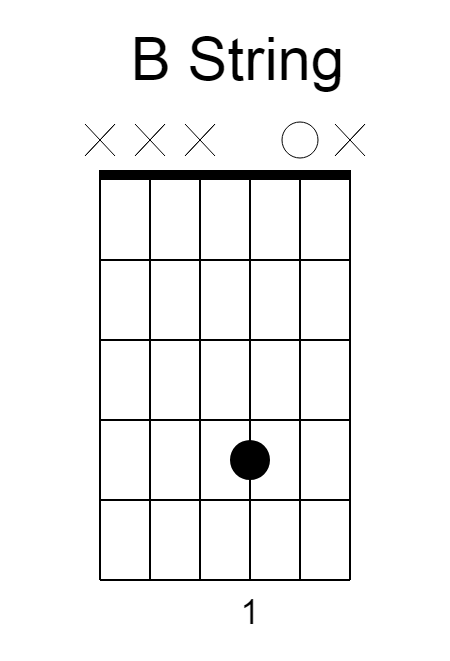 Tune open D to the A string on the fifth (5th) fret. 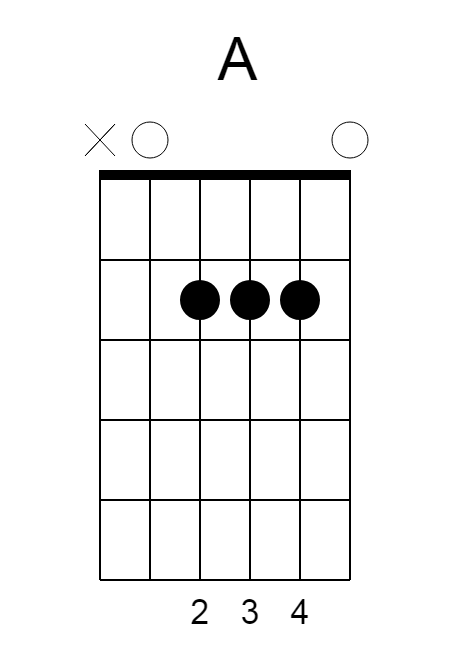 Tune open G to the D string on the fifth (5th) fret. 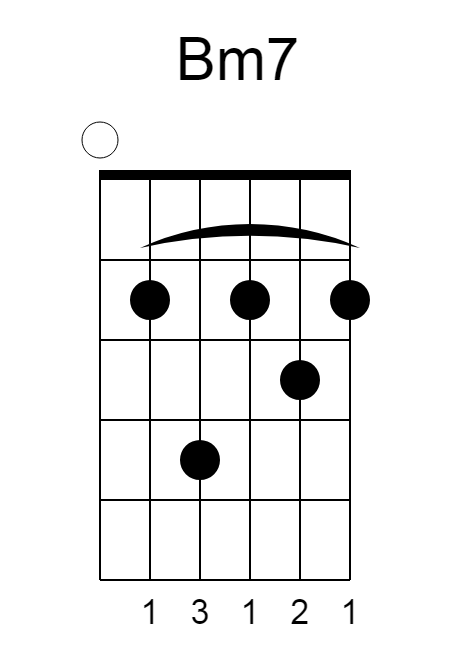 Tune open B to the G string on the fourth (4th) fret. 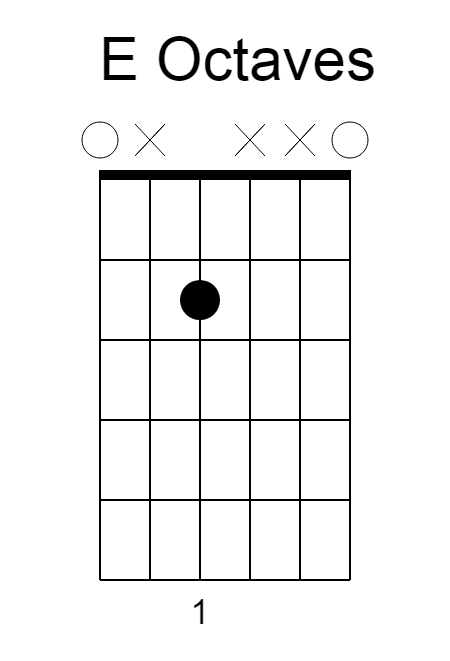 Tune the open high E string to the B string on the fifth (5th) fret. 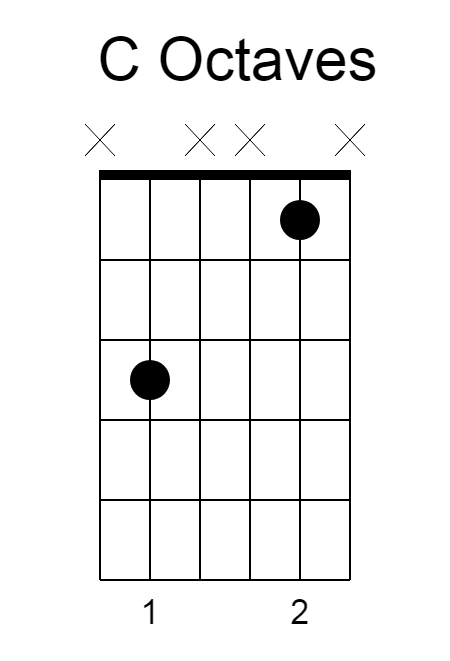 Tune the low E string by matching the sound on the fifth (5th) fret to open A. You can also tune the low E string to a pipe or keyboard and tune the open A string to the E string on the fifth (5th) fret. Another way to tune from one note is to tune octaves. This still requires you get an A note from a fork, pipe, keyboard or guitar. Instead of tuning to the exact same pitch, you tune to a note an octave higher or lower. They have the same note name and when played together they will sound like an extended version of the note. 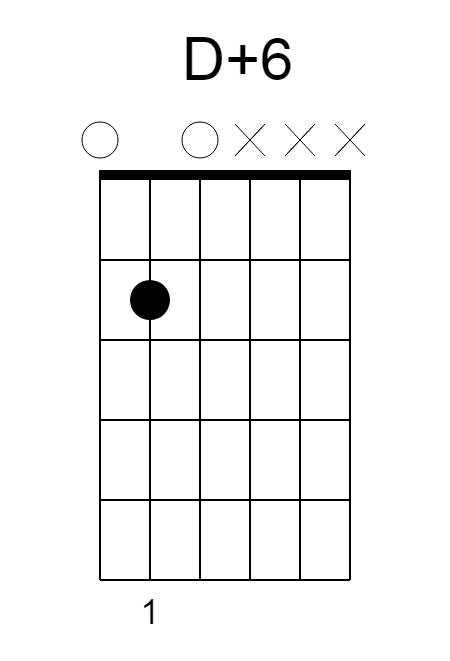 For this method you start again by tuning the open A string. 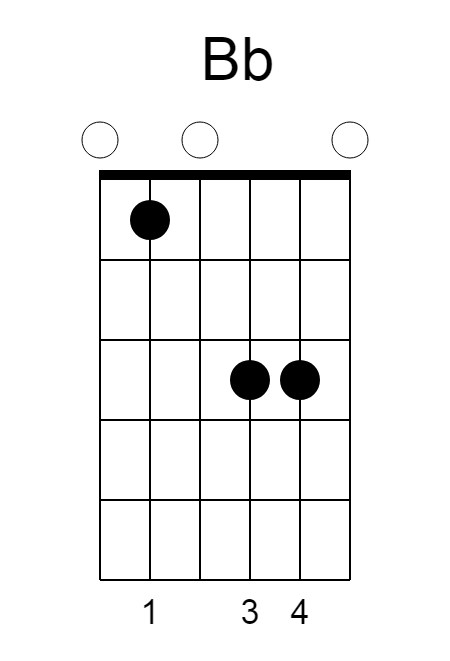 Then tune the G string fretted on the second fret which is also the note A. 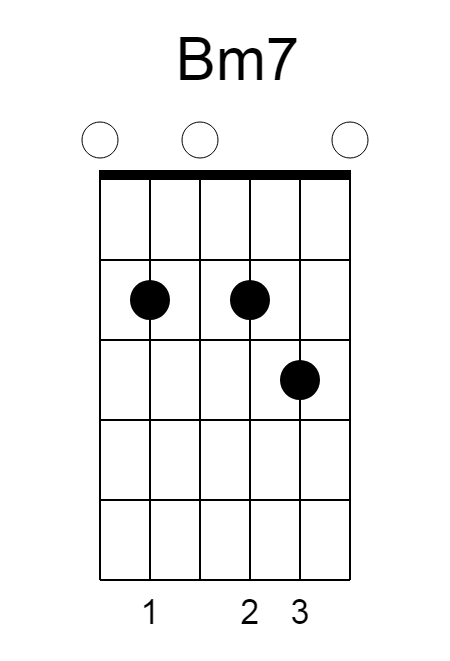 Then tune the B string second fret to the A string 3rd fret. 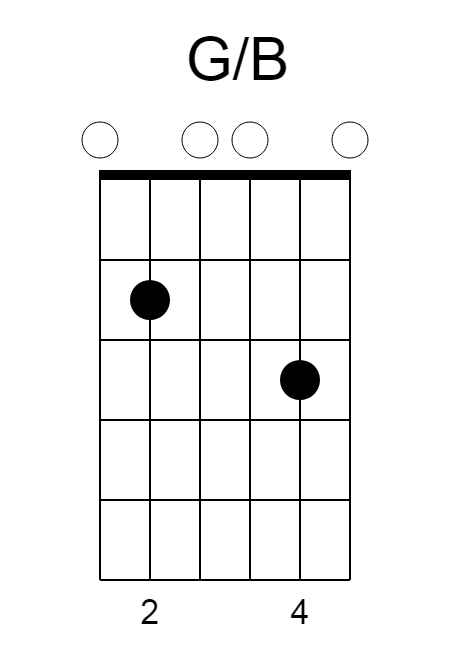 Next you tune the D string, open, to the B string third fret. Next tune the high E string to the D string, fourth fret and finally tune the low E string to the D String fourth fret. It may be obvious, but it’s really important to remember which string you already tuned and which string you are trying to tune. 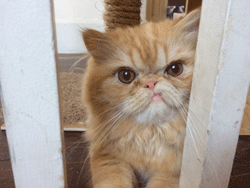 It’s possible to keep retuning strings like a puppy chasing her tail, if your not careful. Please excuse my old piano. It looks rough and needs tuning but every home should have one! Pitch pipes for tuning guitars come in different looks; some with six notes some are chromatic, meaning twelve notes. They are meant to give a note for each guitar string to tune to. The photos below show some options and will take you to Amazon if you want to see more or buy one for yourself. 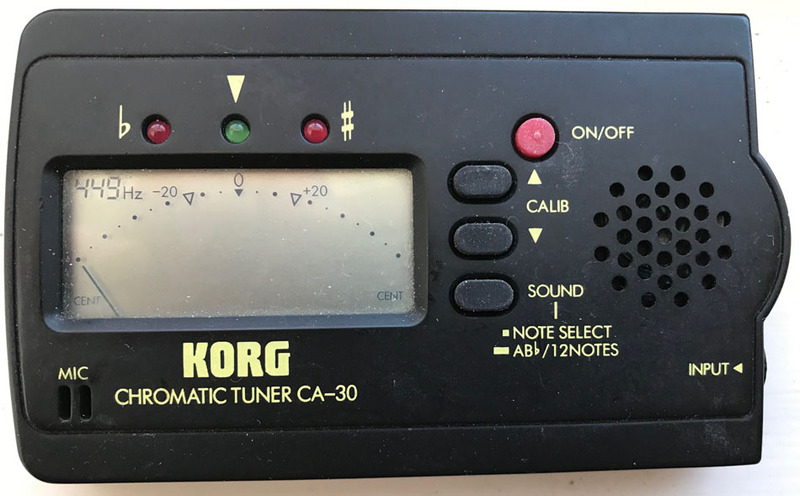 An electronic tuner will usually have a mic so you can just play in front of it and it will hear the notes you are playing. Most also have an input to plug in your guitar, if you have a pickup or are tuning an electric guitar. There will also be a meter or lights along with a readout of what note you are playing. Like pitch pipes some are designed specifically for guitar (6-notes) and others are chromatic which will tune any instrument. As you can see these tuners come in various sizes with different bells and whistles to suit your needs. Another style of electronic tuners today are clip on tuners. These are handy in that they are not affected by room sounds and can just stay on your guitar, if you don’t mind seeing them while you are playing. I think the Snark tuner was on of the first of these; they are a bit big but work well. I have also used the D’Addario tuners. They are small, inexpensive and have worked well for me so far. Finally, the latest internet technology affords us the chance to us guitar tuners that can be found online. I like the tuner at gieson.com. It has a nice “woody” look, with switches, buttons, and knobs to control the experience. It has over 50 different tunings to choose from. That many tunings is a little overwhelming but it’s certainly thorough. This tuner/page has four different sounds to choose from including, acoustic guitar, electric guitar, distorted guitar, and sine wave. You have to match you your string tuning to the sounds, by ear, which is a little more work than the electronic tuners mentioned above. Again, you can check it out at gieson.com. 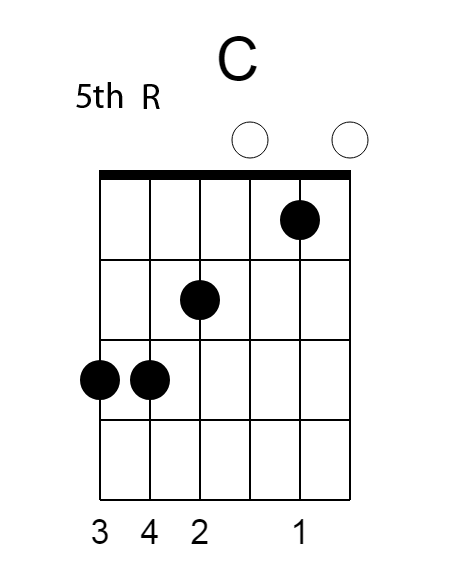 Here’s an example of G tuning for you… Enjoy! So go tune your guitar! Which is your favorite tuning strategy? Do you have a favorite tuner? Are you old school or high-tech all the way? Keep those guitars in tune! When I started playing guitar all I wanted was to be able to fingerpick through some songs. I thought if I could play a little bit of melody inside of playing the chords to a song, that would be enough. I turns out I wanted a lot more out of music but I was partially correct. The joy I get from fingerpicking a song is often the part I think and feel most about. Let me be clear; I am not talking about the work, planning, and expertise that goes into playing a classical piece on the guitar, like Andre Segovia. I am talking about the friendly kind of picking that can make a folk song feel beautiful or drive it, like a fast moving train. I studied classical guitar and the fingers are labeled in Spanish as follows; pulgar, indice, medio, and anular or p-thumb, i-index, m-middle, and a-ring finger. 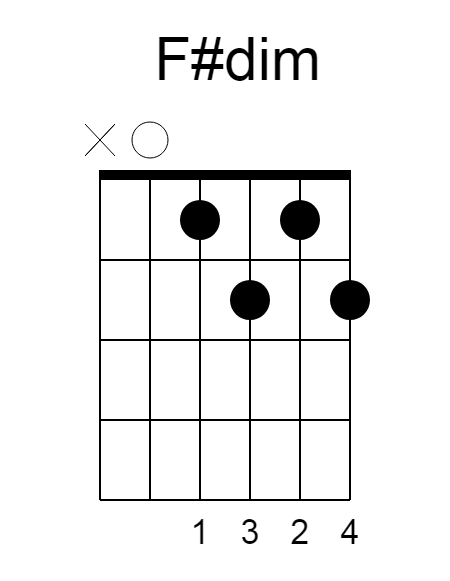 These designations (p, i, m, a) are worth memorizing out of respect for the history of the guitar. Classical right-hand style requires a cupped hand plucking the strings with your fingernails, including the thumbnail. Nice rounded nails are the norm. Merle Travis played with his wrist closer to the strings which enabled him to be able to mute the bass strings with the palm of his hand. He used a thumb-pick and his fingertips/fingernails. I have seen folk players play fingerstyle without a thumbpick which produces a softer, rounder sound. I have rarely felt enough control or clarity with just the thumb. For an example of some excellent finger style playing I suggest listening to Merle Travis playing Nine Pound Hammer in the following recording from 1951. I also play, at times, using a flatpick and my middle (m) and ring (a) fingers. I play bass notes and strum chords with the flatpick and play fingerpicking patterns with the flatpick and my fingers. You can also use this technique to play strings that are not next to each other on the instrument. 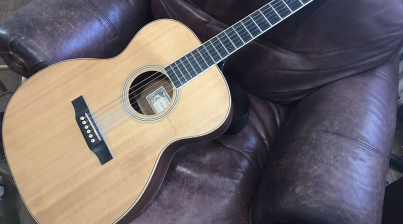 This hybrid form of playing is helpful in having a fingerpicking style, whenever the need arises. 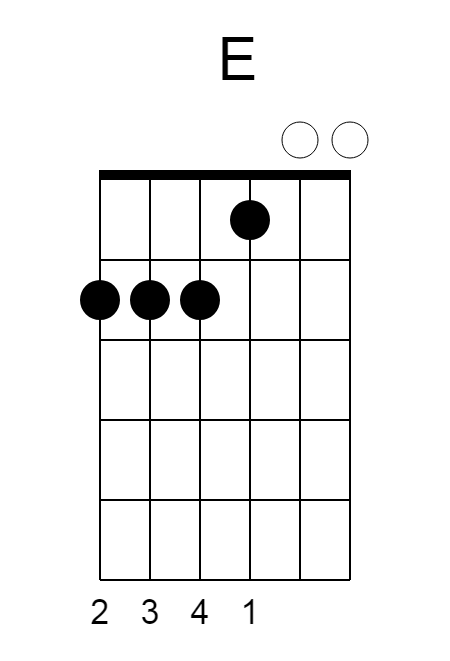 Briefly, chords are made up from notes of the scale, a “third” apart. 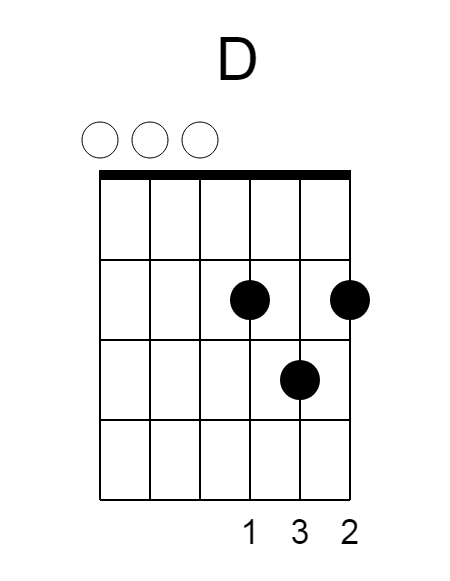 Starting from G and counting each note a third apart gives us G, B, D or 1, 3, 5. 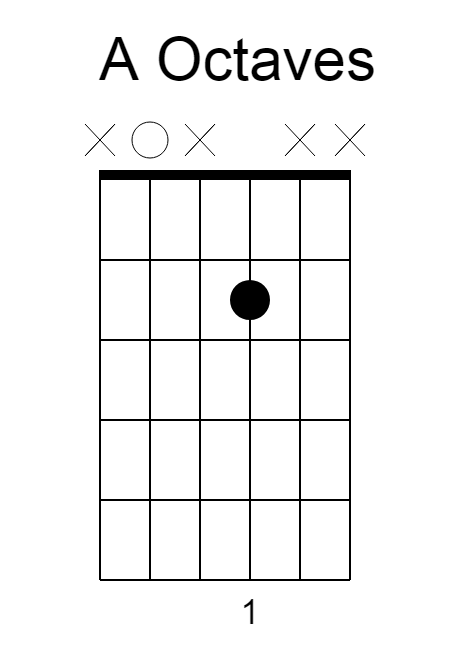 Generally, the root of the chord you’re playing on a guitar will often but not always be the lowest note. You can know that fingerstyle guitar can include strumming and occasional single melody lines. 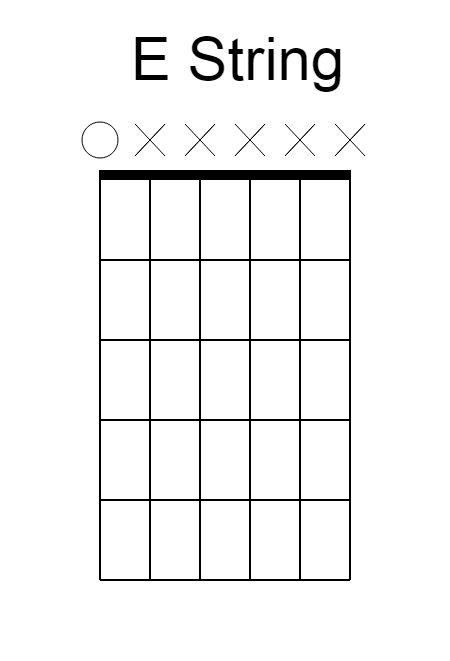 The basic first goal, as I see it, is to develop a rudimentary bass line. 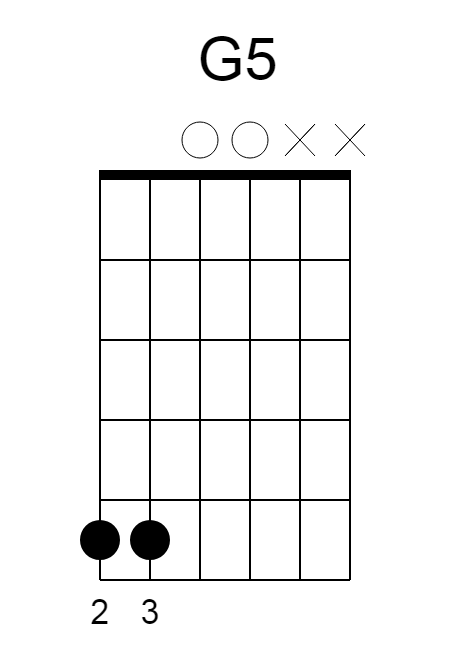 An alternating bass line is going to include the root and 5th of the chord. 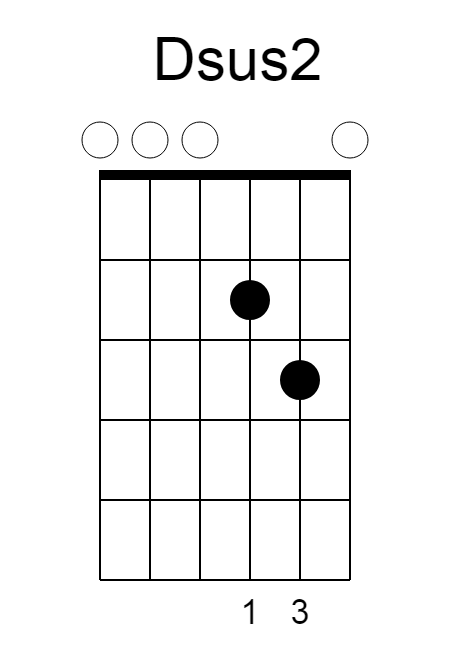 In a G chord the root and 5th notes are G and D. In a root position G chord these note would be the G note on the low E (6th string, 3rd fret) and the open D (4th string). 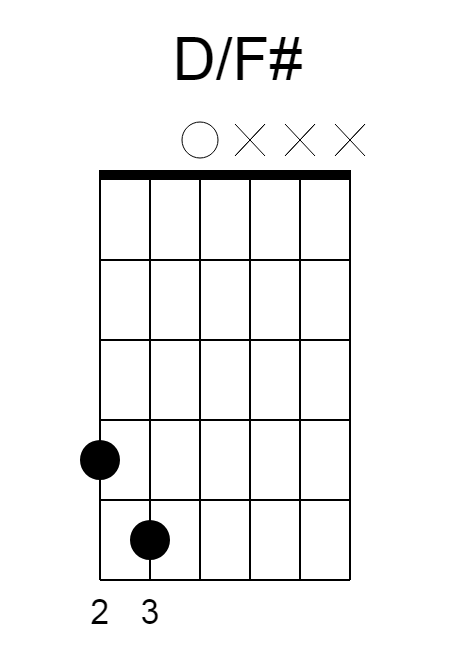 For starters, you can just alternate between these two notes. 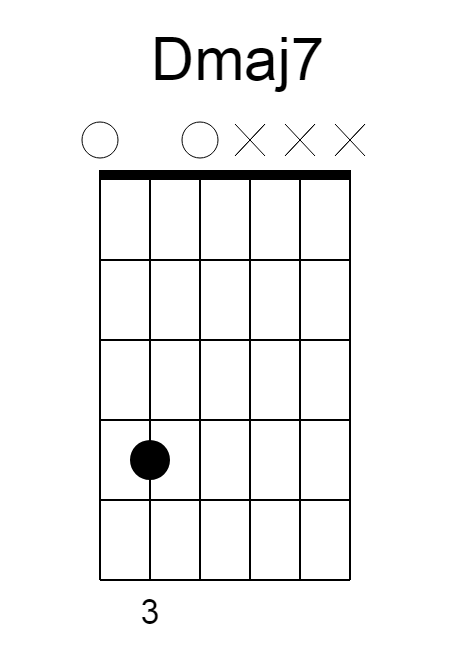 Starting with the low G note you alternate from the G to the open D with your thumb. As this becomes comfortable you can brush all the strings or strum between each bass note. As soon as you’re ready, you use your index finger to play a B note on the second string (open) between each note. As this becomes comfortable you alternate from thumb to middle finger playing the G note on the high E string, 3rd fret. Play these slow to start and keep your rhythm really steady. Slow and Steady wins over pushing to get fast (and sloppy)! 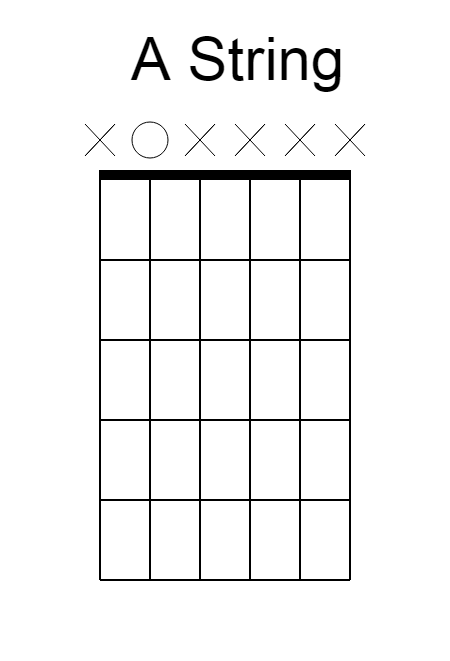 Now that you have a little dexterity using your thumb and other fingers to pick strings, it’s time to get familiar with a picking pattern. 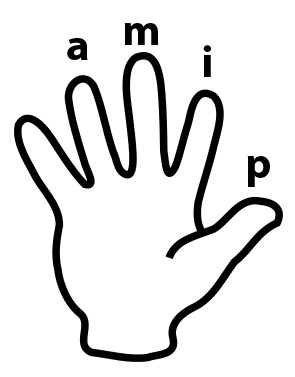 Play each finger separately until your feeling good then… Play thumb, index, thumb, middle. Slow and steady, over and over. Gradually getting faster, keeping it clean and smooth. Each measure has 4 beats represented by the slash marks in each measure. 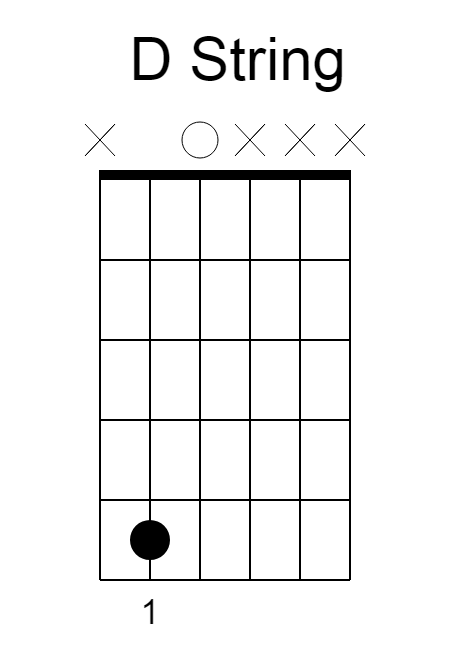 Chords are written over the measure and stay the same until a new chord is written. 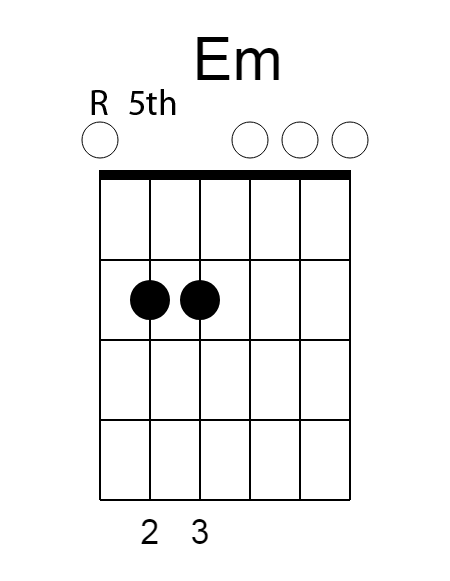 The root (R) and 5th are labeled on the chord diagrams above. Playing a slow steady rhythm will produce the best results over time. 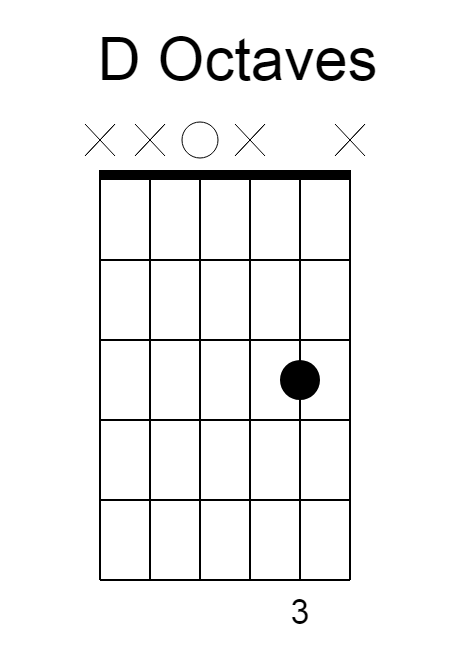 As you change chords and fingerpick with more ease, gradually speed up your playing. Steady fingerpicking is a joyous sound to hear. Still, to move forward, keeping your playing sounding interesting there are some easy ways to “change it up”, as you go. One way to add emphasis to parts of a song is to take out parts of the pattern ocassionally. Try just playing the bass notes for a measure, or for a whole verse. You can try switching back to thumb pick and strum for a section or even just a beat or two. Another way to accent the sound of the bass is to mute the baseline with the palm of your picking hand as you play. I realize this may sound counter-intuitive, but listen to the Merle Travis video, to hear what I’m talking about. 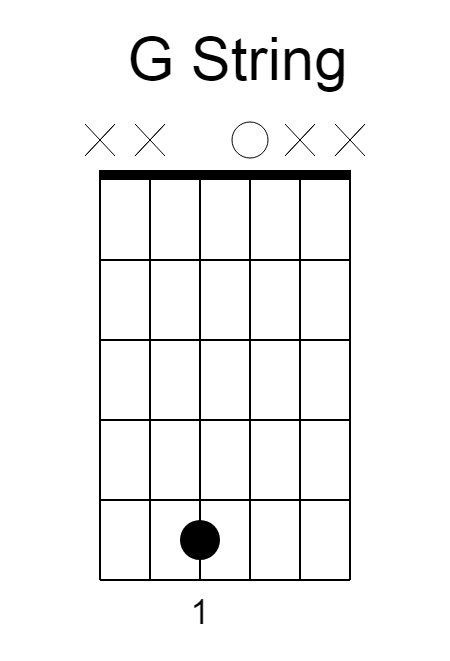 If you are new to fingerpicking or even if you are still learning your chords I encourage you to try this when you feel ready. 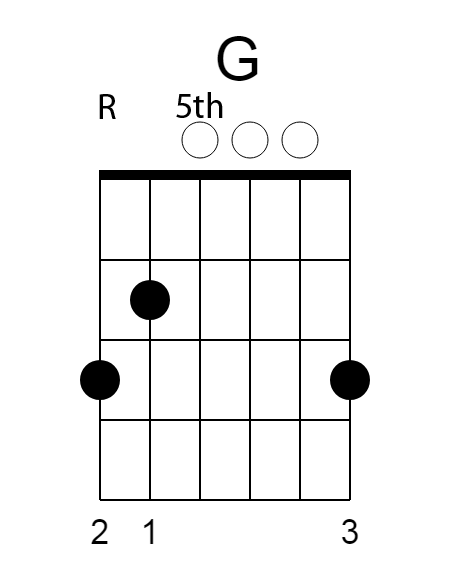 After you get the basic changes of a song try adding to your sound with some basic fingerpicking. Tell me how this works for you. Ask any questions you like and I will try to address them in the best way possible. I look forward to hearing from you and hope you have some good fun with this. For an example to discuss, I’ve chosen the song, “Walk Away Renee” by the Left Banke. One term for their music, at the time, was “baroque & roll”. I may go more in-depth with that sound in another post. I’ll just say I find this song a good example of what you can do with drop-D tuning and very fun to play. Be sure to check out the YouTube of “Walk Away Renee”, later in this post. Let me know if you would like a more in depth explanation of counting rhythms. 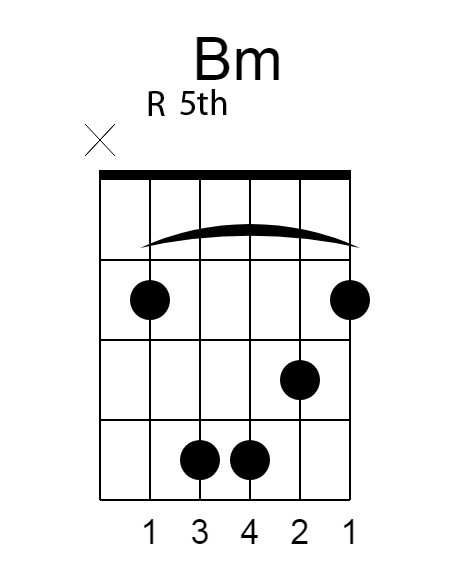 I often add Dsus2 to the D chord for accent and variety. On the whole note measures I add rhythm as I see fit, often somewhat syncopated. For me, the principle is to strike only the strings I want to ring, not trying to mute strings. 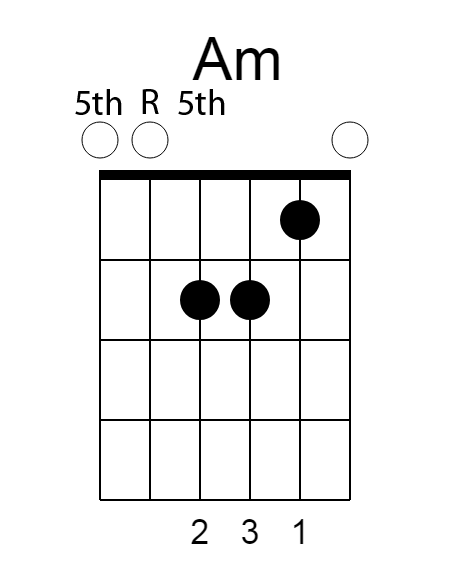 First let’s just take a look at the chords which often need just a small adjustment in drop-D. Usually to cover the different notes found on the lowest (6th) string. We can start with the chord progression in the eight measures of the verse. 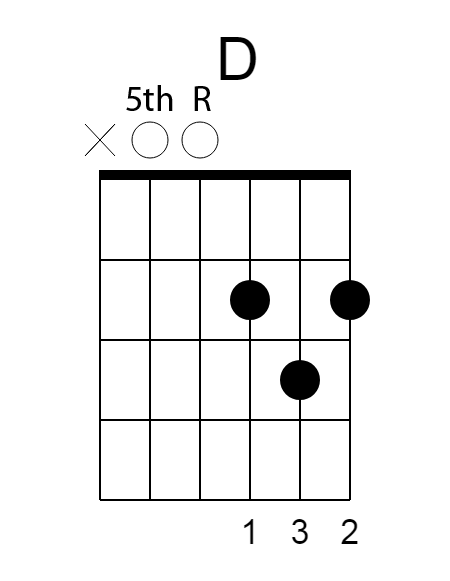 Note, on the E chord you need to cover the 6th string to account for the drop-D tuning in the bass. 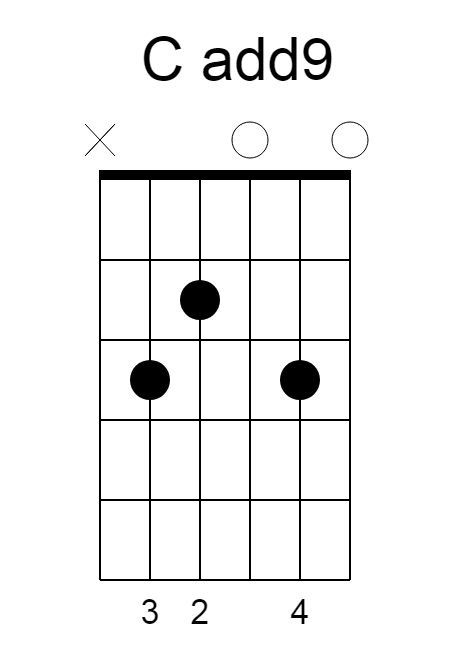 In other words raise it back up two frets (one whole step). 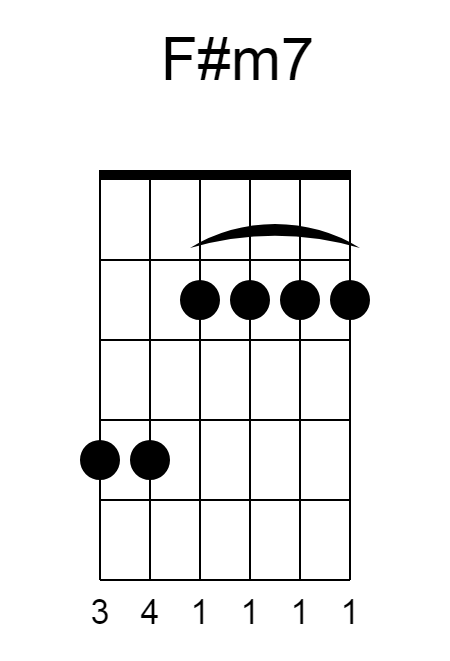 Also, notice that these chord forms keep a D note ringing on the 2nd string, connecting the two lines of the verse. Common tones from chord to chord are a great way to fill out your sound and tie things together. On to the Drop-D chorus…. There’s, actually, just a few more chords. I have grown to really like the open Bm7. I use it in standard tuning for a more open sound. Finally, the bridge for this song leaves the open drop-D sound for a few measures, although the low D can continue to drone if you like that. 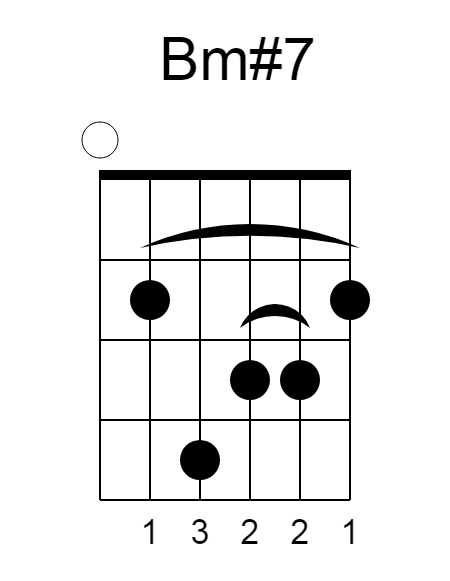 There are eight bars that tend to modulate (move) to Bm before landing back into D. I follow this part with an instrumental chorus before going to the third verse and on to the three-chorus ending. The melody is loosely played on the top two strings during the instrumental chorus. I really like the deeper low-end sound that drop-D tuning affords me. There are hammer-on and pull-off lines that are there, for the playing, on the lower strings, as well. The Beatles are said to have used drop-D on “I Want You (She’s So Heavy)”. Metal bands like drop-D for the heavy low-end sound and I’ve seen one of my favorite players, Richard Thompson, using drop-D. Jimmy Reed style blues riffs in the key of D, are easily played, as well. 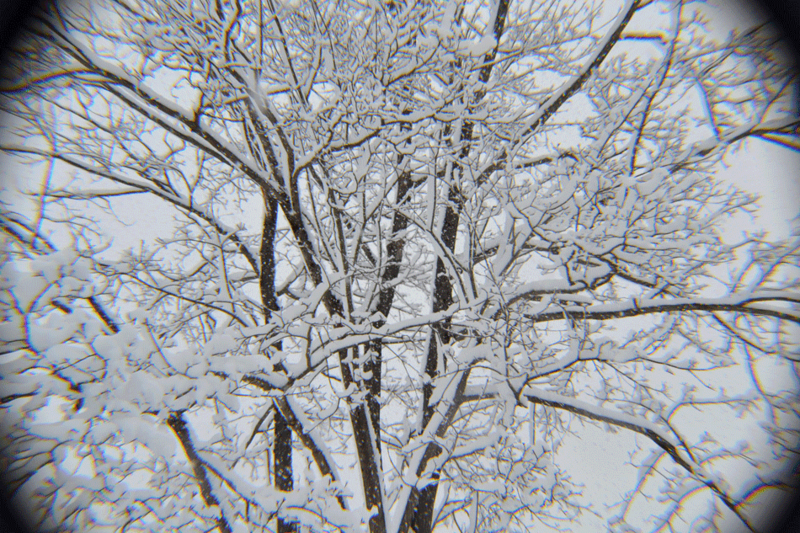 I believe you will find lots of opportunities for common-tones, drones, and generally jangly sounds. The slightly discordant notes in the high registers of the chords I’ve presented here, offer tensions and movement that will draw you into the song. 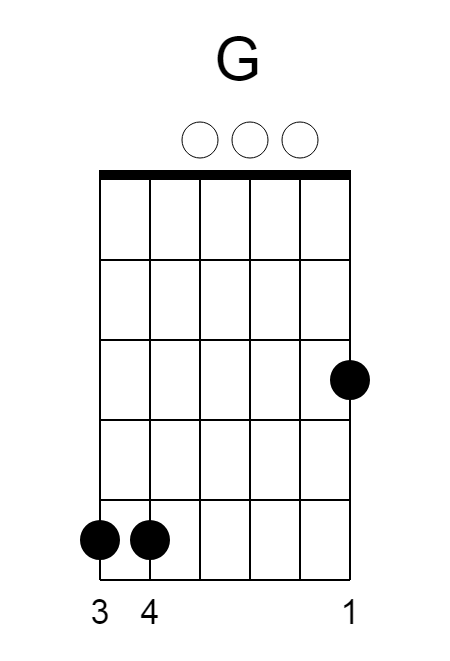 Are you using Drop-D tuning now? Music theory is a collection of terms and ideas that we generally accept and use to talk about music. It can include explanations of rules or traditions about the structure of music. Music theory is also dependent and intertwined with the culture that created and uses it. What European/American culture calls “Classical” is very different from Indian Classical music. When we begin to talk about different genres, such as, Hip Hop, Rock, Folk, Reggae, Rap, or EDM we see that the “theory” behind the music can be very diverse. I believe you understand a lot about music even if you haven’t studied music theory. I know that when I first began studying music, I understood and recognized, “by ear”, what was being presented to me . I didn’t have all the correct terminology but I understood the idea and relationships, on at least a basic level. Check out my post that discusses recognizing music by the feel here. Learning to read and write music, on even a basic level, is the same as learning to read the newspaper or a webpage. Most people agree that being able to write a letter or a grocery list improves the quality of their life. Reading and writing gives you and I more ways to communicate and enjoy what we know. So do I think you have to study music theory to enjoy music? No. Am I glad that I have studied music theory, understand functional harmony, and rhythmic relationships in music? Yes! Music is a series of relationships. It is movement and distance. It only exists, “in time”. Reading a page of guitar music is the map of where the music is going to take you. Reading a page of guitar music and hearing it in your head, while you consider how you would play it and what key it’s in, is moving down the road to understanding that music, on an intimate level. Listen to the video above. Notice how the guitar gets softer to accompany the voice. 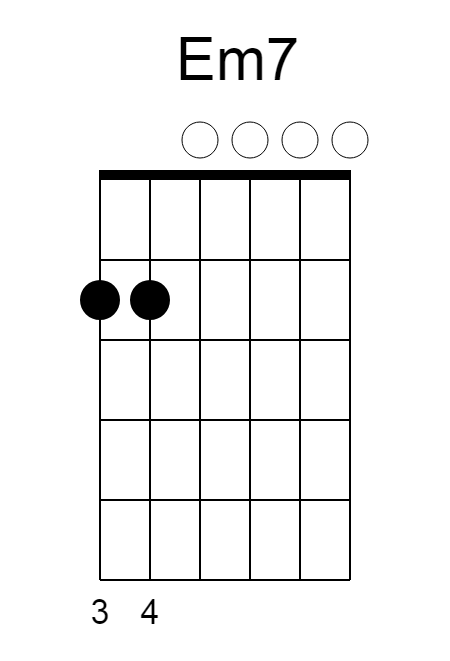 Notice how the guitar is plays a strong basic rhythm at times and more of a melody at other times. The lyrics are about dying but how does listening to it actually make you feel? Would you call this a blues song? Now try listening to some music you are familiar with. Something you hear on the radio, a favorite pop song, country song or blues tune. Can you hear two separate instruments while you listen? Can you hear how the bass goes along with the drums? Can you hear and list all the different instruments in the song? Understanding the music you listen to begins with focused listening. Don’t let music be the background to your life. If you find this difficult, start by listening to just the words. Think about what they are saying and what that means to you. Listen to how the drums fit with the singing. Listen to how the singing goes higher, then lower and softer, then louder. You are now listening to the melody and the dynamics! Let music be an active part of the tapestry that sustains you as you move through your day. Focused listening stimulates your mind. Listening to music as you exercise will motivate you to keep moving and help the time pass when you’re working hard on a goal. The beauty, in music, can lift me out of the depression that crowds me when I get overwhelmed by the divisive politics and violence in the news of the day. Listening to peaceful music will lead you down the road of peace. Listening to thoughtful music will encourage you to be thoughtful, as well. Listening to inspirational music will encourage and motivate you. A day to day relationship provides a positive release and something new to look forward to, each day. When we talk about the blues, there are a lot of variations to consider. Various forms, instruments, histories, and players. Songs can be fast, slow, hard-rocking, or steamy. They all strive to evoke a strong reaction from the listener and that is the key to knowing the blues when you hear it. It’s common knowledge that the blues is an American music form that came out of the south and slavery. 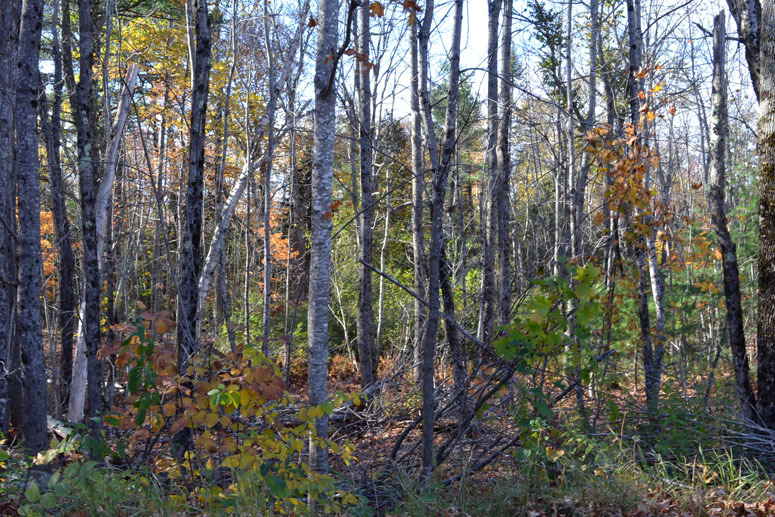 It has African roots and spread in many directions. It was at home in the cotton fields of the Mississippi Delta as field hollers to keep up the work pace and evolved from Gospel music, African chants, and work songs. Check out my friend Bennett’s site on Work Songs and find a lesson plan for teaching about African chants here. By the earlier 20th century there were many players performing in the south, often alone and accompanying themself with a guitar, including, Son House, Blind Lemon Jefferson, Leadbelly, Charlie Patton and Robert Johnson. Well-known blues pioneers from the 1920s such as Son House, Blind Lemon Jefferson, Leadbelly, Charlie Patton and Robert Johnson usually performed solo with just a guitar. You can see from this list that blues was beginning to appear all across the Deep South. Many of these player worked with each other at times and eventually gained some notoriety. Leadbelly was recognized by the Rock and Roll Hall of Fame, Charley Patton is acknowledged as the first great star of the blues circuit, and Robert Johnson has a mystique that has grown around him that is almost spiritual in nature. Johnson is mentioned in Bob Dylan’s book, Chronicles, as an early influence. As people moved North to find their fortune places like Memphis and Chicago became music centers. The city not only provided more listeners in a smaller area, it provided electricity. In the city, players needed more power to be heard by raucous fans, which is often still true today. Electrified guitars and miked harmonicas played through amplifiers turned up loud and distorted created new tones and sounds that moved blues music forward into the twentieth century. These tones influenced young players that went on to create Rhythm and Blues, Rock and Roll, and survive today in the music played by modern young players. Chicago blues could be found at the open-air market on Maxwell Street and the early clubs like Ruby Lee Gatewood’s Tavern, known as “The Gates”. It was promoted by record companies such as OKeh, in 1092, who published a record series called “Original Race Records.” Okeh went on to sign and record many of the famous blues, jazz, and gospel artists of the time, including King Oliver and Louis Armstrong. As you can see, blues music has a rich history with connections to gospel and jazz. As time went on blues has continued to expand to West Coast blues, Texas blues, Memphis blues, and Kansas City blues. 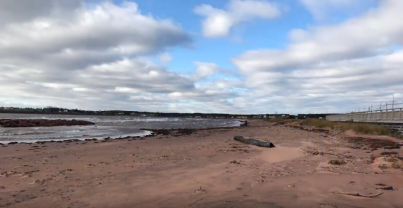 Each location added its own twist to the sound and style. 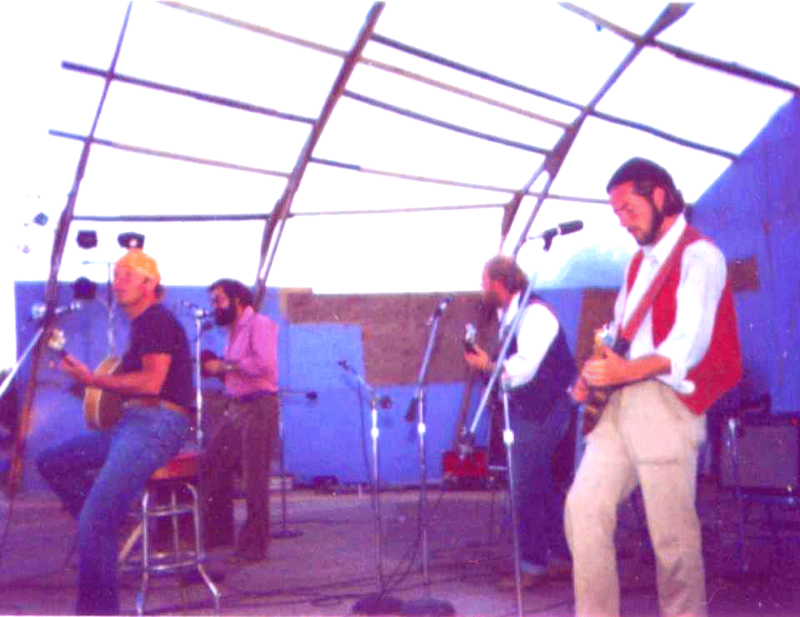 The blues met rock and roll in England and produced British blues which included players like John Mayall, Peter Green, and Eric Clapton. While blues players have expanded the sound and geography of the music, there has been a lasting basic form that musicians generally acknowledge called, 12-Bar Blues. 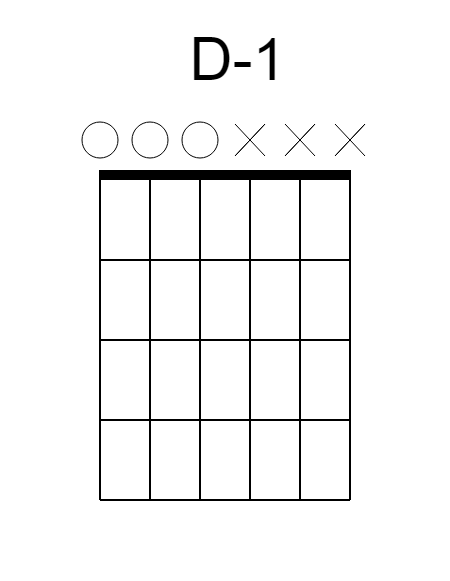 This form has a specified number of measures (bars) and a basic chord progression. Measures can be recognized, when written, as the space between the upright bars that separate them. Quickly, if we recognize the major scale as a series of related notes, named, “do, re, mi, fa, sol, la, ti, do” we can also call them by numbers, “I, ii, iii, IV, V, vi, vii, I”, using Roman numerals. 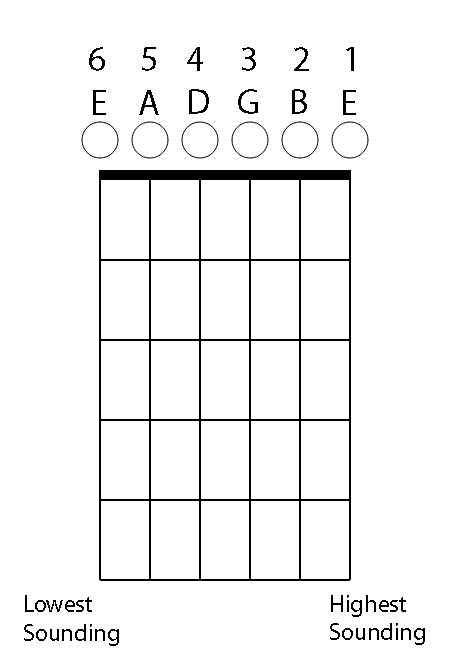 We then make chords, which are three or more notes played at the same time, based on the scale. This shows the “I” chord for 4 measures (bars), the “IV” chord for 2 bars, back to the “I” for 2 bars, the “V” for 2 bars, The “I” then the “V”. The I to the V at the end is sometimes called the “turnaround”. I will address music theory, reading, and writing related to this, in more detail in another blog or lesson. While this is the basic form it is important to know that there are many variations on this pattern. Variations include the 8-bar, 16-bar, and 24-bar forms but is this music really confined to only these patterns? When I listen to someone singing the blues I’m not listening for the form. I will hear the chords, I will hear the rhythm, I will hear how the recording was produced, arranged, and mastered. I will enjoy the techniques that went into making a good recording. When I listen to someone singing the blues I am listening for the feeling. The words will make me laugh or make me cry. The singer will wail and I will heartrate will increase. The guitar will start to solo and I will get excited. The words will feel familiar. I will relate to how bad the writer was feeling and I will rejoice in the freedom of being able to sing about how bad someone feels. The blues may be about a bad time or a good time but hearing it will lift us up. When I sing the blues I am connecting with my feelings and letting myself share with everyone who is listening. I love the blues because of how it makes me feel. I recognize the blues by how it makes me feel. I hear the blues in various forms of song. The form isn’t what makes me feel; the form is just the vessel that carries the mojo any certain song may have. While I respect, love, and listen to traditional blues and the original players I am open to the growth of the form into related music, as long as it feels like the blues. I love the blues, do you? Do you go to your local brewery when the local blues band is playing? It’s not the only music I listen to but it is at the heart of my life as a musician. I think many styles of music have a bit of blues in them and I love to listen to the old blues musicians. 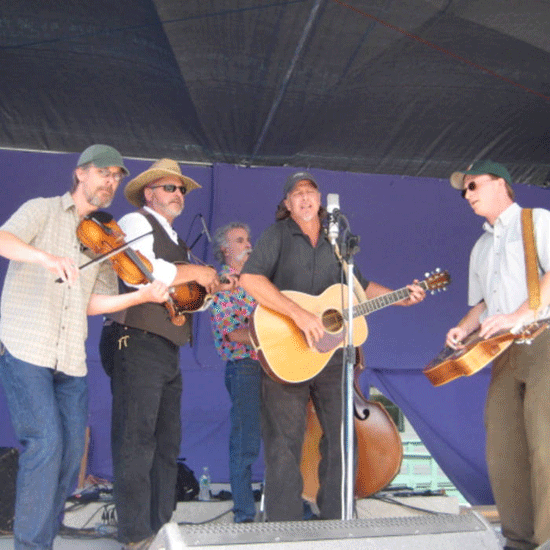 Are you a fan of the Delta Blues players from the Mississippi such as Son House and Charley Patton? Do you feel that real Blues music is only what came out of Chicago? Or only from the Delta? Who’s your favorite player to listen to or your favorite blues singer? 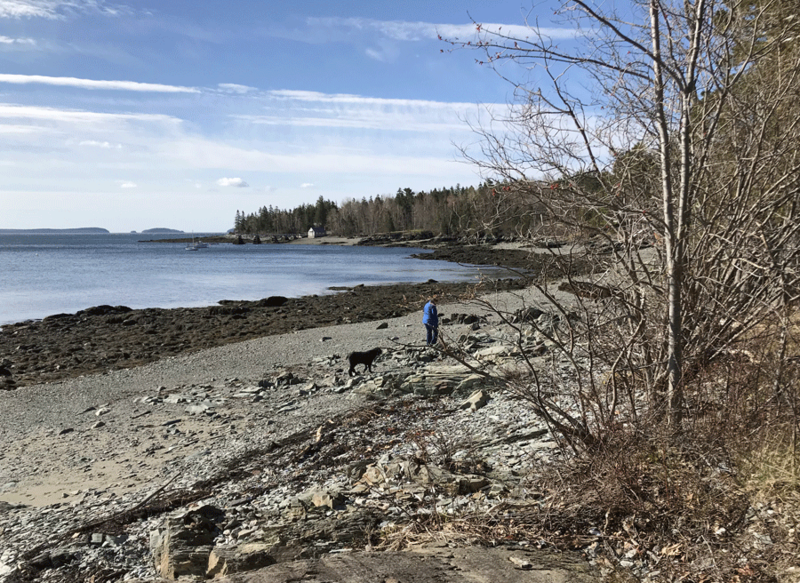 I am a musician living on the coast of Maine. 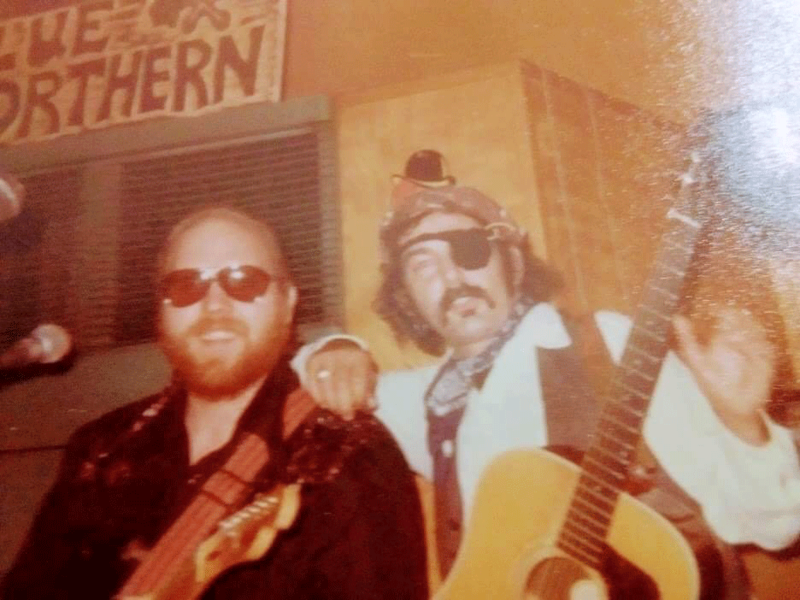 I have been playing gigs since the 1970’s and have played extensively throughout the United States and parts of Canada. I have contributed to many other musician’s projects as a multi-instrumentalist, arranger, and producer. I have a Master of Music Education degree and I have taught music at all levels, in private lessons, public schools, and in Maine Colleges. I am here to here to help you be a better listener, answer your questions about music, and make musical ideas a positive part of your week.